For the past few weeks, our bloggers have been hard at work in their woodworking shops. Not only are they working on their gifts for friends and family this holiday season, but they have also been working on their 2013 Holiday Woodworking Tool Wish Lists. In case you are still working on yours (or haven’t even started), here are a few of our own wish lists. And don’t forget to make your own woodworking wish list on our website by CLICKING HERE. 1. 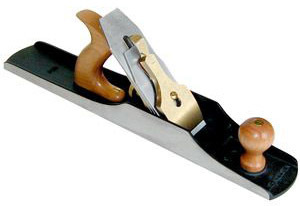 Lie-Nielsen #6 Fore Plane – Another replacement for a cool old Stanley plane. Working with both types, it’s just so easy to justify the new plane, with it’s fit and finish out of the box, and the accuracy that comes with no struggles. 2. Lie-Nielsen 7″ Drawknife -Curved Blade w/ leather case – While I already own two older used versions, its amazing just how sharp these knives are when new. Its also somewhat frustrating just how poorly some of the old used ones are sharpened. There is a great deal of metal that is necessary to remove in order to actually get the correct geometry and a truly sharp edge on the old knives that I own. 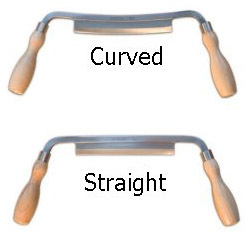 Also, you can choose between a Curved Blade or a Straight Blade for this Drawknife. 3. Electric Branding Iron – Basic Arc — I’ve wanted one of these for quite a while, and would love to have a consistent branding on the items I make. 4. Lie-Nielsen Screw Driver Set w/ Case – This set of screw drivers has the perfect tip sizes (width and thickness) to fit the screws on Lie-Nielsen’s hand plane line. It is somewhat of a lost art to have a screwdriver that properly fits each screw. Sure, a different screwdriver can be made to work, but it’s so easy to cam out and bugger the screw head if the driver and screw don’t match. 5. Lie-Nielsen Improved Workbench – The new design (as of 2011) is such a rocking (it’s truly solid, but just using a colloquialism) bench. With the change to a 4” thick top from side-to-side and end-to-end, it’s so much easier to clamp to the top, and increase the weight of the top. Just find it a home on a level floor, and you’re set. Oh yeah, I need a right-handed version, just to mention since both left and right are available. I gave my wish list to Ed Lebetkin over at the Woodwright School in Pittsboro, NC and let him doing the shopping for me. He always finds better stuff than I ever could – vintage and in good working order – often after doing repairs/replacements/adjustments. Don’t worry Highland Tools! There are always significant gaps on what I can’t find, so I put in my orders regularly. Sometimes I just want the efficiency of one of those Lie-Neilsen planes. The ones I have are SWEET! I am also partial to your Masterpiece finish kits. I keep a stack of those boxes on my shelf and they save much time and the results are beautiful. Between those and shellac, they cover about 90% of my finishing needs. When I get back from Afghanistan, I am going to take a long vacation in my woodshop. My wife used to be jealous of my time spent there, but now she realizes that place turns her grumpy old man into a more patient and happy version of himself.